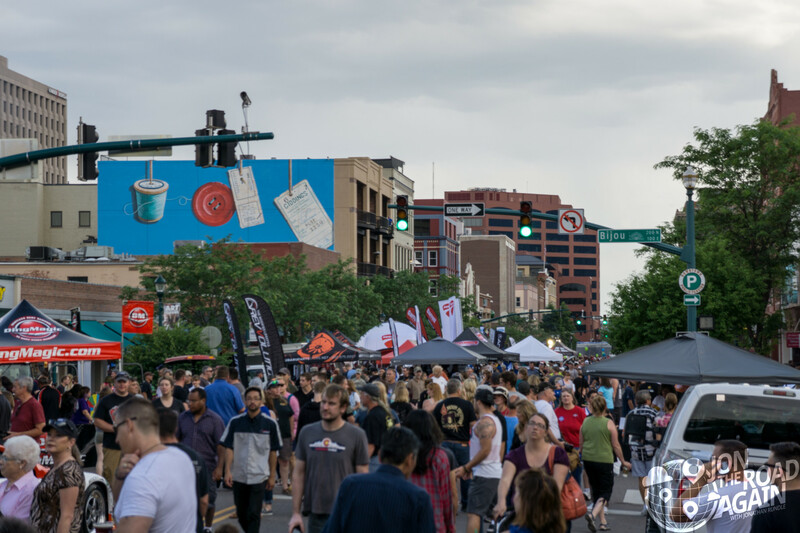 The Friday before the Pike’s Peak International Hill Climb, downtown Colorado Springs hosts the annual Pikes Peak Fan Fest. 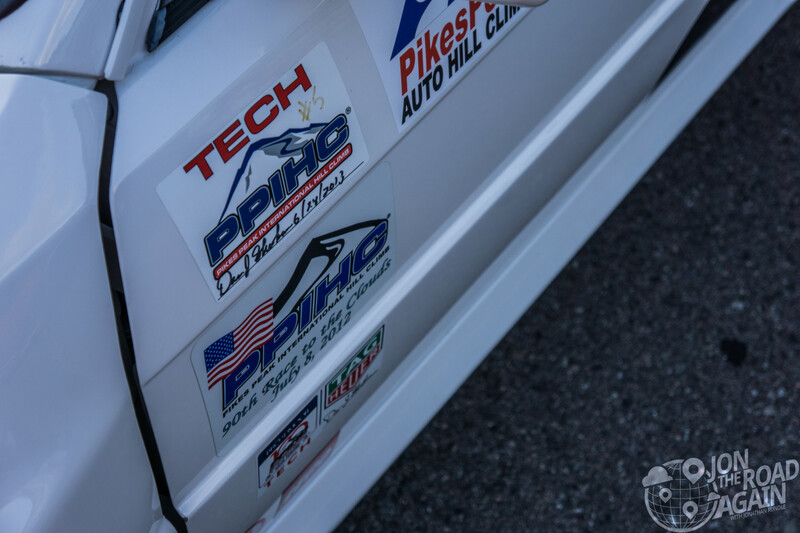 This is your chance to get up close with the cars and drivers of the 100th Pike Peak International Hill Climb. 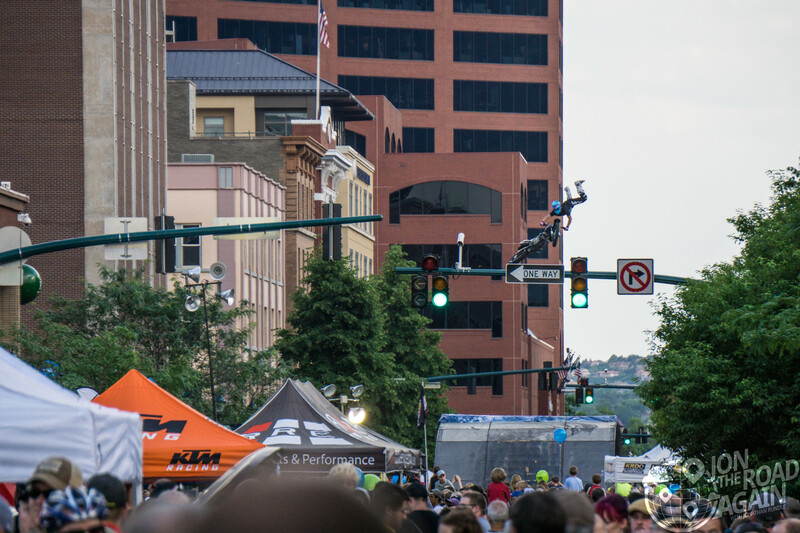 From 5-10pm, 6 blocks of Tejon Street close for the Pike Peak Fan Fest / Hill Climb block party. The street is filled with vendors, both local and national, selling everything from food to high performance engines. Getting up close with the drivers, cars and motorcycles of the Hill Climb. 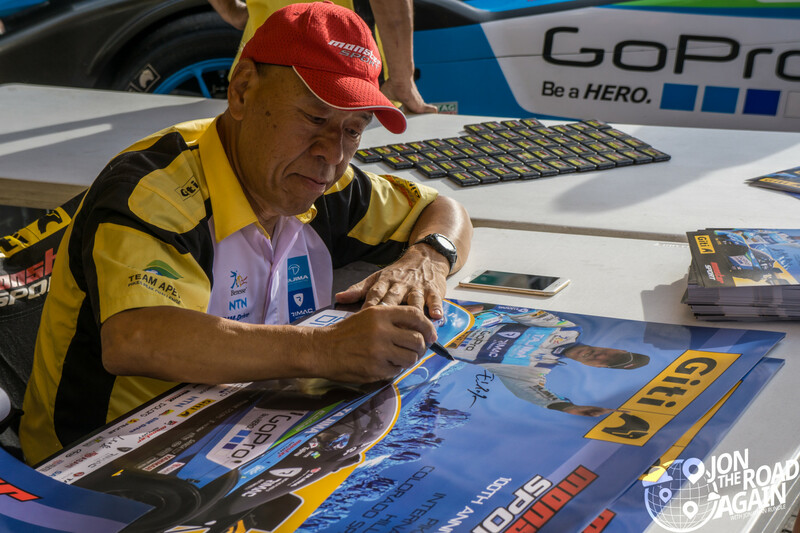 Racing legend “Monster” Tajima signs some posters for fans. 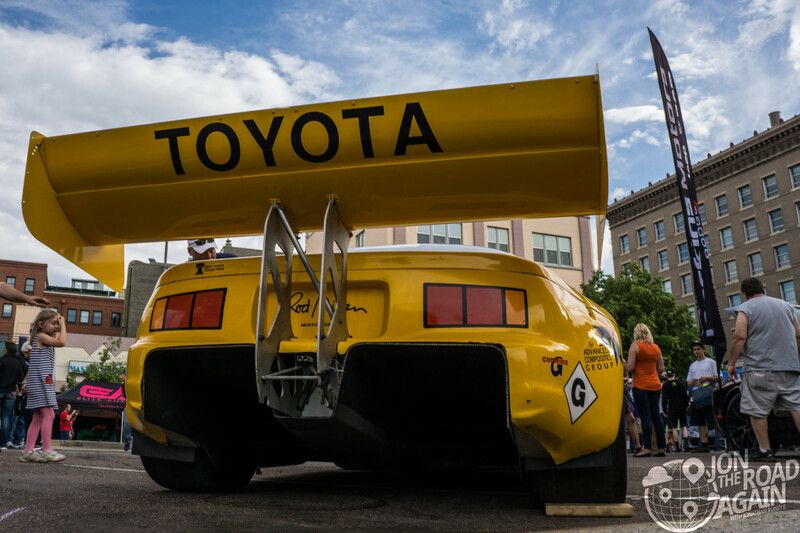 Cars past and present are represented, like Rod Millen’s record-setting 1994 Toyota Celica. Millen set the fully-dirt record with 10:04.06 – now unbreakable on a fully-paved course. 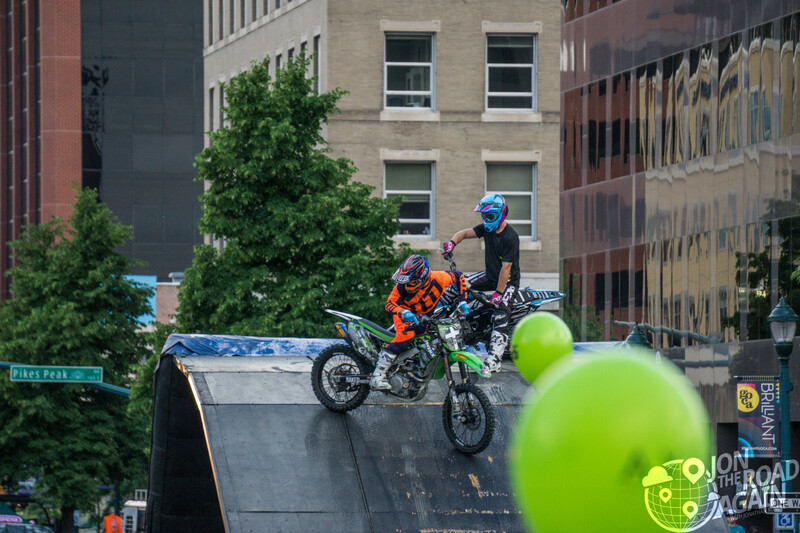 The Red Bull Motorcycle Stunt Show is the main event of the Pikes Peak Fan Fest. These guys soared hundreds of feet in the air, meeting the fans drinking on rooftop bars at eye-level. Bonus photo: walking back to the car, I took this nice shot of the old El Paso County Courthourse, a well-restored building dating to 1903 which now holds the Pioneer Museum. 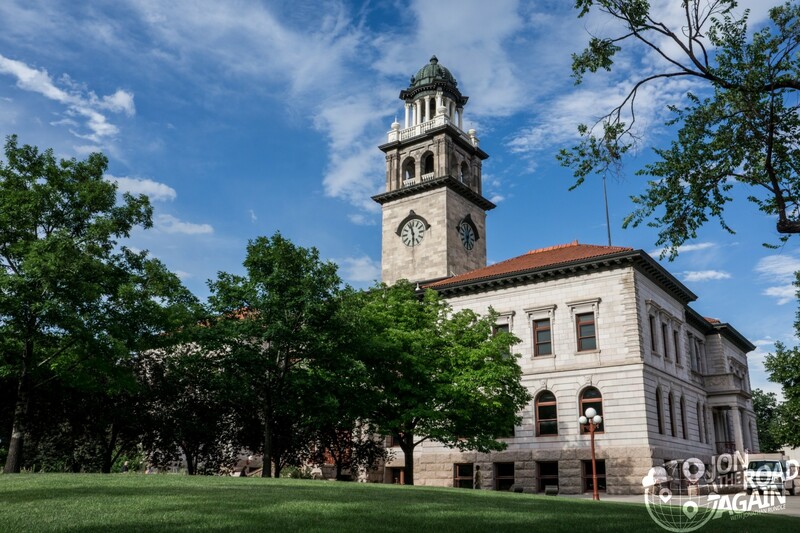 As you’re walking through downtown Colorado Springs, be sure to keep an eye out for cool old buildings like this one. Pikes Peak Fan Fest happens every year. 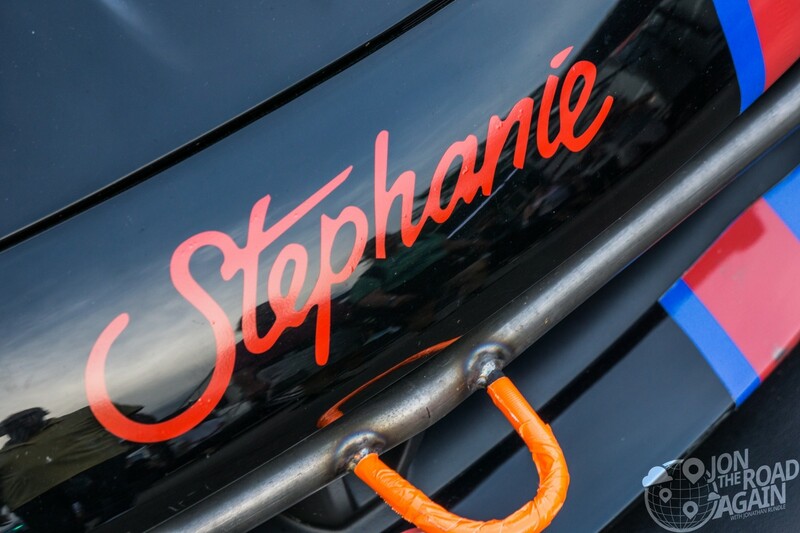 This is your chance to meet your favorite drivers, see the cars, or just enjoy the vendors. See the official website for detail on all the Hill Climb events. Don’t miss this fantastic event.